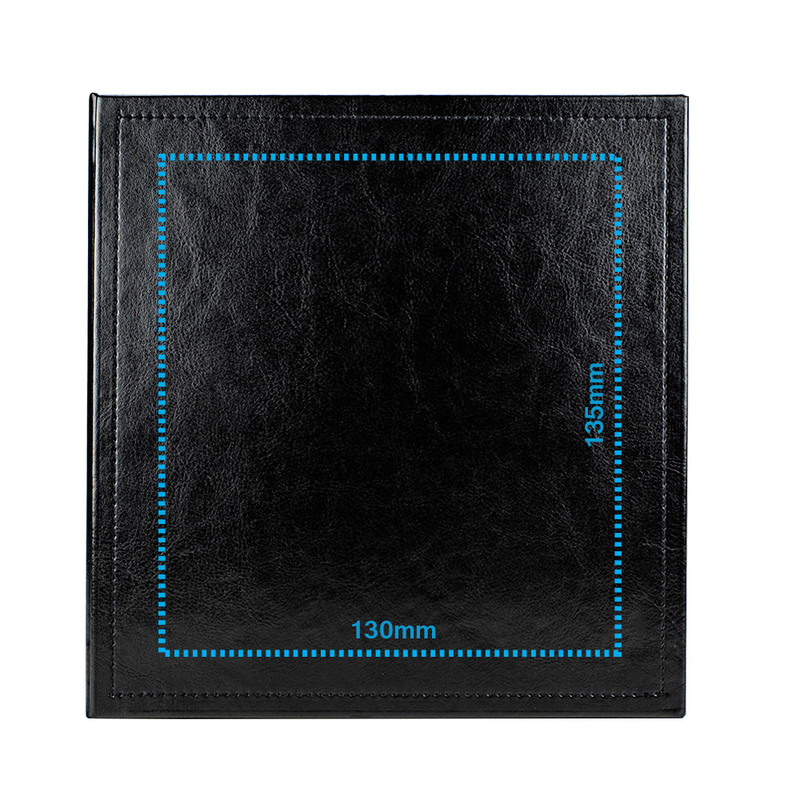 Make a big impression with the Impression Photo and USB box in rich black leather binding with matching border cover stitching. 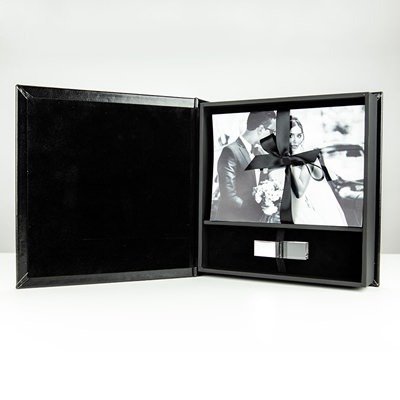 It offers elegant photo and custom wedding flash drive storage cushioned with soft black velvet compartments. 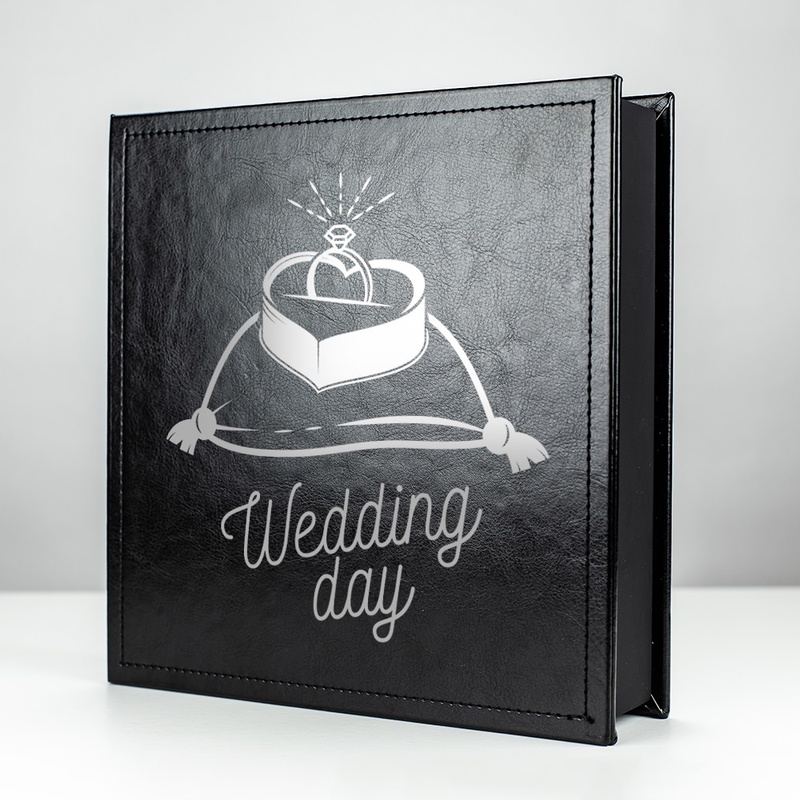 Up to 150 4 x 6 photos will be beautifully tied in place with gentle black cotton ribbon. 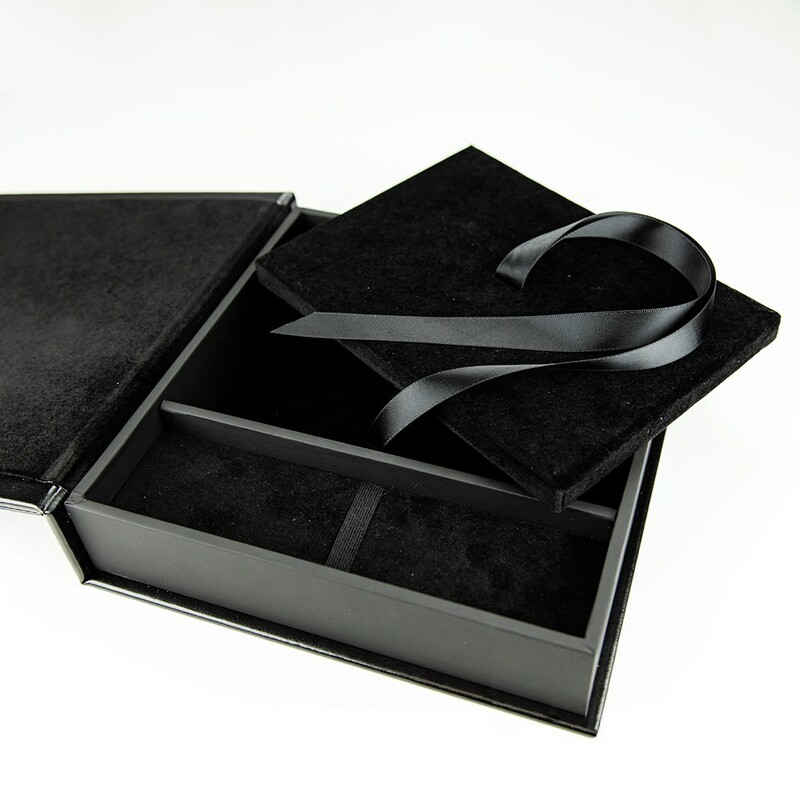 The Impression is an excellent custom presentation box for photographers looking to offer their clients a high end finish to their services. This box features separate compartments for both photos and custom wedding flash drive, which is held securely in place in matching black elastic. The box is beautiful enough to display or store on decorative shelving. Delivering clients their data and their favorite photos so that they are on hand at a moment’s notice is a precious feature of the Impression.